Day 12. What it Means to be a Kiwi. November 14, 2015. 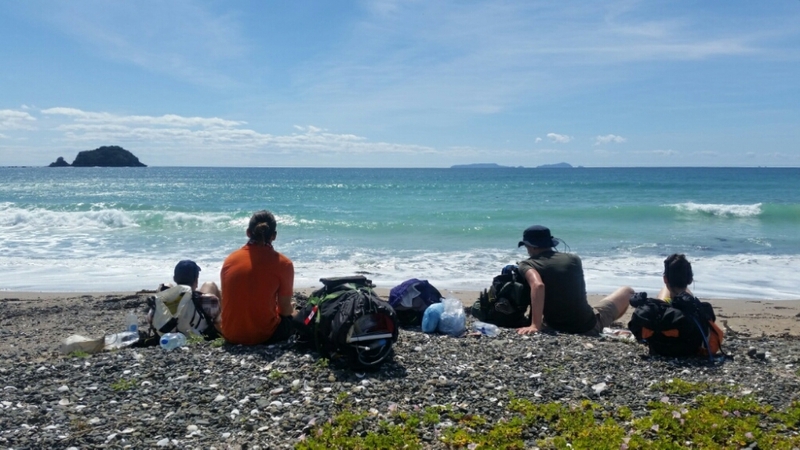 The Te Araroa Trust has a photo contest for an image depicting “What it means to be a Kiwi.” I don’t have a photo but I sure have some experiences. After letting us camp in his yard last night, Peter invited us into his house this morning for tea, coffee and breakfast of bacon, eggs and Wheat Bix. Australian Alex laughed at us North Americans as we ate it for the first time. It was kind of like a shredded wheat cake and we had it with canned plums and milk. It was good but I probably won’t go out of my way to eat it again. Peter showed us amazing Kiwi generosity. Peter looked at our maps which had us going on the Morepark-Onekainga Track. He said he had a better suggestion…. 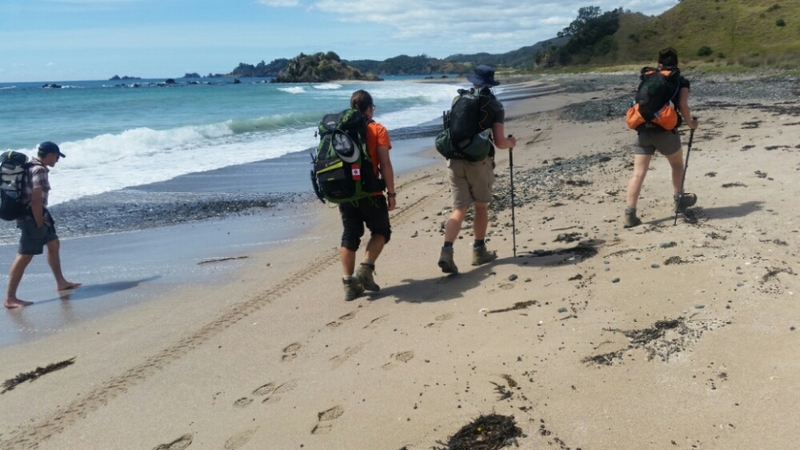 go straight to the most beautiful beach and walk along that until we got to a road which runs along the coast to Whananaki. So that’s what we did and it was great. We got to the beach near high tide which made it interesting to get around one set of rocks. We got pretty much drenched but it was worth it. As we were walking to the first beach an old dairy rancher drove by and stopped. He invited us to his party tomorrow. I asked him what the occasion was. Was it his birthday. He said “No, probably my death day.” Kiwi wit. We passed by so many views out to the ocean. We are staying at the Whananaki Holiday Park. The owner Tracy is incredibly nice to TA hikers. Discount on camping. Fruit bowl in the kitchen. Free towels. I asked for shampoo and she had it. She has a garden and invited us to help ourselves. She has a list of all the TA hikers who have stayed here this year…. 115 including 13 tonight. Kiwi kindness. Helen and I picked peas, chard, a cabbage, celery, parsley, oregano and Tracy gave us 2 onions. I ate a burger with beef, egg, bacon, beet, lettuce and tomato at 3pm for lunch. 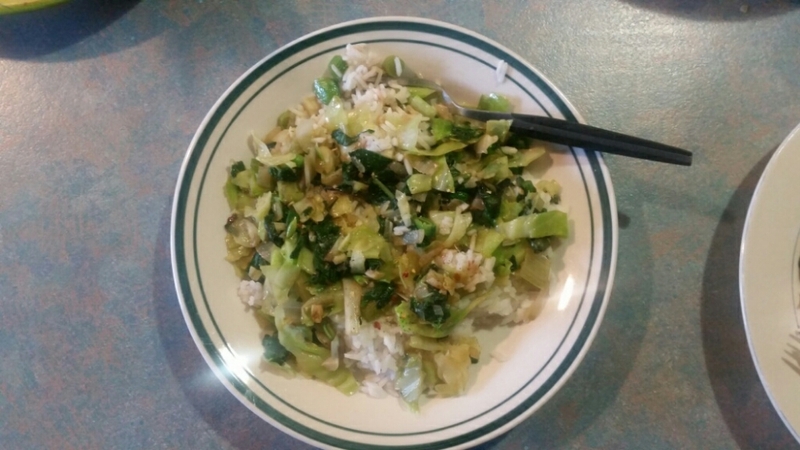 After eating that a dinner of stir-fried veggies over rice was perfect. The whole day was perfect. 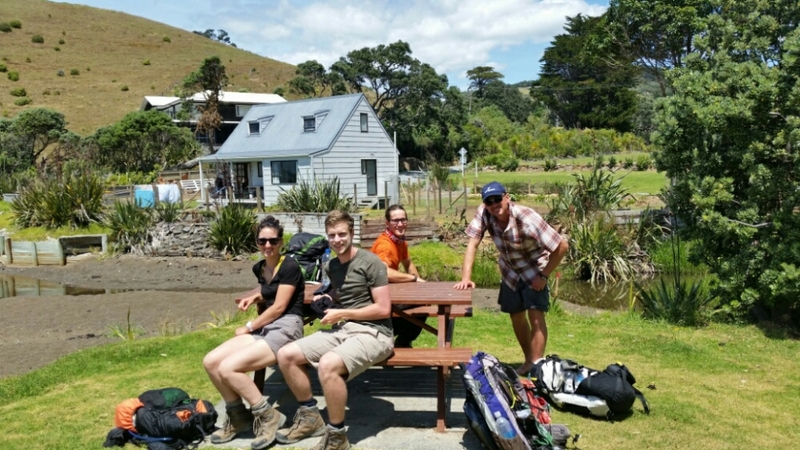 In 25 km there’s another couple who loves the TA and lets us camp in the garden of their B&B. 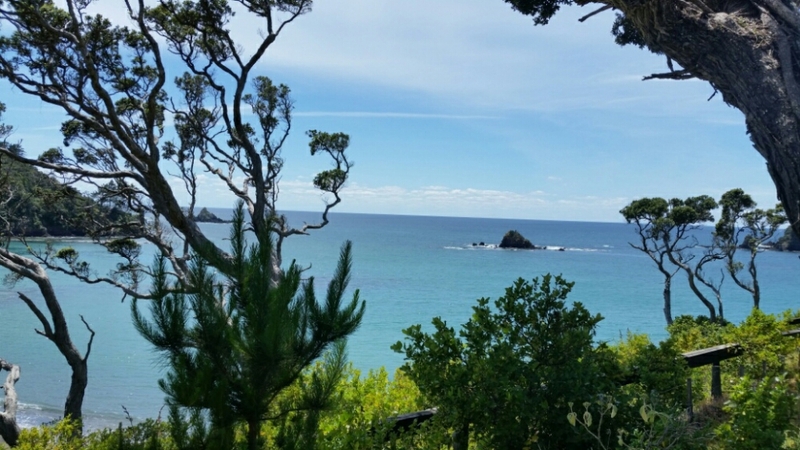 This entry was posted in Te Araroa, New Zealand 2015-16 on November 14, 2015 by nancyhikes.